Charm with a blood drop. 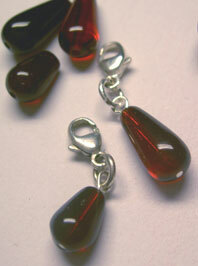 The drop is made of chezh glass, and lock/ring is of sterling silver. 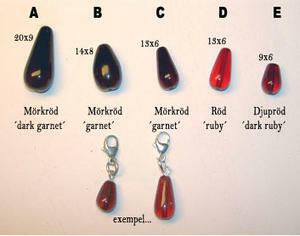 Under ´more pictures´ you can see exampel of color/size of the drops. Below you just choose which one of the five drops you want. All throughBlood jewellery are perfect to combine with eachother.